Look around at any restaurant or mall and it’s easy to see: adults are always connected to their mobile devices. But as this technology becomes even more ingrained in our lives, what can we expect for our children? Studies show that – used wisely – technology can be an important part of their everyday lives as well. Check out the infographic below to see how mobile technology is integrated into the lives of even the youngest kids. learning skills? How does it affect their social attitudes and physical growth? The Pros and Cons are still being studied and determined. Tell me what you think. Credit: Katie Lepi on edudemic.com. The infographic contains a lot of data, presented in a visual format. @Coolwired for more Info2Go! Thanks for visiting. Cyberbullying does exist . Beware! How do you prepare children and teens for the ubiquitous cyber world, better known as cyberspace? You want them to be safe, while surfing the net. You want them to avoid the pitfalls and dangers which quietly lurk there. You need to teach them now! Follow me on Twitter @Coolwired, for more important Info2Go. Public Service Announcement:5 Drinks To Quench Your Thirst This Summer! 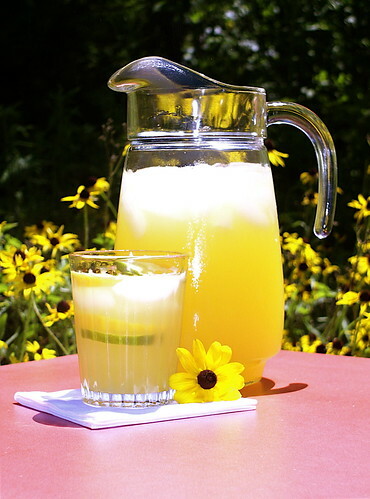 5 drinks to quench your thirst this summer!!!! Summer has officially started in the Northern Hemispere. Here, in Canada, we are now suddenly facing a climate of 30 degrees Celsius or more . The crazy sun which normally we Canadians love to bake our selves in, is now in our own back yard troubling us . Iced coffee, pop, sun cream, sun glasses all are back in fashion. As the sale of Ice Frappucino has started to increase at Starbucks , I am sitting here and can tell you that Summer has definitelybegun . For all those mothers and healthy adults who would like to have some nice options , here are a few of the solutions. Yes water by itself will help us quench our thirst, just plain tap water or room temperature water . According to Ayurveda water does exhibit different properties at different temperature zones .Plain water or water at room temperature could be as invigorating , energetic as any thing else . Just try to sipping it and drinking it rather than gulping it down . Make sure you enjoy each sip of it and you will see that you can easily quench your thirst in the long run . The basic drink of many North American entrepreneurs is lemon water. Many kids have sold this in their school days to just learn trade. Though being so simple, it is still such a fascinating nourishing drink. Ayurveda describes three tastes that are nourishing to any person in this climate of summer heat .They are Sweet, Sour and Salty. What is lemon water? it has sugar in it which is sweet. It has lemon in it which is sour in taste and it has a pinch of salt in it .Remember in summer climate we do lose a lot of our energy in perspiration, so are sodium and chlorine molecules from the sweet. Its same elements we try to get back with this cooling drink namely Lemon water. and Mexico too .For those people who travel to the third world , looking for some alternative drink ,which is safe other than bottled water, Coconut water would be your answer. A source of water in an actual fruit or nut whatever you call is considering high source of calcium, potassium sodium and chlorine in the plant kingdom. Because of the same combination of sweet, some sour and some salty you would find this water being also favored by many nutritional expert as a sports drink. No Fat content and high potassium is what appeals to them .So the next time you play outdoor or exercise in summer make sure you have a glass of Coconut water. Try quenching your thirst with nice freshly squeezed juices of many seasonal fruits, such as oranges, apples, and water melon,or some vegetables like carrots. Try it. You would be amazed at how much your body would love those juices compared to any thing else. Not only would also get more benefit from different properties of fruit or vegetable used, but also you would satisfy your hunger in one way or another. Yes Hunger because as I have said before that in summer we drink so much water that our appetite is lower and then what would be nice is to just drink juices that can fill our stomach and our thirst too. Another liquid which is loved as much as it has been hated because of lactose allergy issue for many in this part of the world .Thus this comes at the end of my list of liquids to have in summer .Warm milk or even room temperature milk would be nourishing for you and your kids for not just the thirst aspect , but also the nourishing aspect of it .Try it if you are not vegan or allergic to it . Lastly to add few more hints, why not try some soaked cranberries and raisins after each time you feel thirsty? They both according to Ayurveda , have properties to quench one’s thirst and be helpful. Thanks to Coolwired for allowing me to write my guest post on this blog. Sudeep Chitnis works as an Ayurvedic Consultant and also blogs in his spare time from Canada . Do visit his blog or his twitter page . There are many people now beginning to realize that we really do need to “do something “about saving our planet. It`s the only one we have – so let`s take better care of it! Check out some of these amazing bloggers,who are doing their part, to raise public awareness. Cameron Chapman writes about 75 green environmentalists, on Twitter. Check out her post on the Mashable Blog. One of the more well-known is former American Vice-President, Al Gore. Yes, that Al Gore! Love him or hate him, you have to agree that he is quite influential in the world of business and politics. He was involved with Live Earth and the Twestival on Twitter to raise over $200,000. for wells to supply fresh drinking water, for people in developing counties. Now that`s progress! He is not just talking about the environment, he is doing something to share its resources, without causing more pollution. There are more notable environmentalists at Twitter. I particularly like David Suzuki. This spunky little man, looks like the proverbial mad scientist. No, he is not crazy. He is constantly raising awareness and educating people about our environment, and it`s need for our help! He was (& still is) very involved with the One million Acts of Green program, sponsored by Cisco Systems. This movement started in Canada, but now has people registered from all over the world! There are many others. Are you one of them? Keep smiling, people will wonder what you have been up to! I am writing this post to help newbies and experienced bloggers, alike, explore some of the amazing ways people use Twitter. From marriage proposals to a call for help during a suicide attempt, the 140 characters of Twitter are there! This interesting article cames to us from Ben Parr, including over 125 comments. This new social media, Twitter is changing the world, 140 characters at a time! Please leave a comment here, if you have seen Twitter used in any other unusual ways. If you are interested, follow me on Twitter, too, @ Coolwired, or sign up to my RSS feeds. I am also Coolwired on Friendfeed. “Think Globally, & Act Locally”! Cisco started this Green Challenge, in Canada, through the national TV network, on CBC . Since October, 2008, I have registered and “committed” over 345 Acts of Green to help reduce my carbon footprint. Yes, I’m a greener! Can’t you tell? The One Million Acts of Green Challenge movement is spreading globally! Now is the time to act. Why should we care? Well, we’re all in this together, & good planets are hard to find! Don’t you agree? Tell us about one of your Acts of Green. Be sure to check out her Your Guide Section! I am certain you will like it. Trust me, on this one!